We specialize in a cutting horse training that enhances the individual talent and natural abilities of each horse. This process results in finished horses that perform with magnificent expression, flow of movement, and enjoyment for the sport of Cutting. Our arenas have excellent ground, and an octagon shape for optimal work either around or across. We use plenty of fresh cows and a mechanical cow. We provide lessons and can train and show your horse. We have finished and prospect cutting horses for sale at all times. Todd brings experience to your program with NCHA Judge certification, LTE $135,000, is on the MCHA Board of Directors, and numerous championships including MCHA and NCHA Area IV Open Horse, 2007 MCHA $10,000 Novice Horse, and finalist in several aged events. Our non-pros are also very competitive an hold MCHA titles every year. Very simply, our ranch horses herd cattle, travel in, around, and through water, travel over down timber, offer sure footing going up and down steep embankments, track a cow in a field or arena situation, are used as a turnback horse in the cutting pen, broke to rope, and tie to a tree or post for extended periods of time. Further, they've been rode, hauled, and proven in the mountains and fields of Montana. 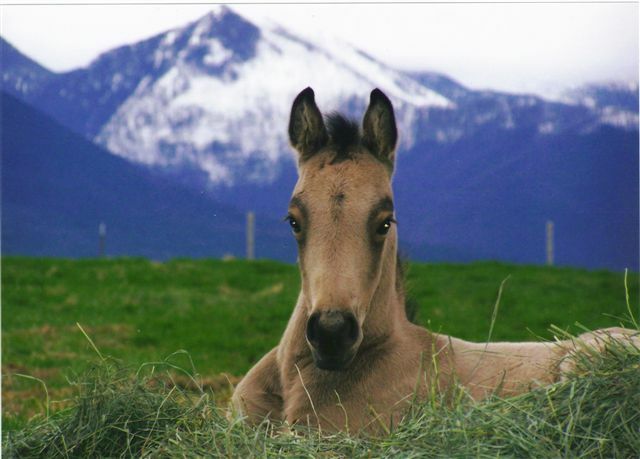 All of our ranch horses are cutter bred for eye appeal and natural cow ability. A firm foundation in runnin' to and ratin' cows will get you in the money every time. Our horses know how to track a cow, read a cow, and position their body so as not to get burned by a cow. Whether on a team roping steer, or a barrel, our horses out rate anything out there. Of course they also stop, turn on their haunches, and flat get after it. Top ropers and barrel horses select only horses with a least 90 days working cows with a cutting horse trainer to take them all the way to the pay window. 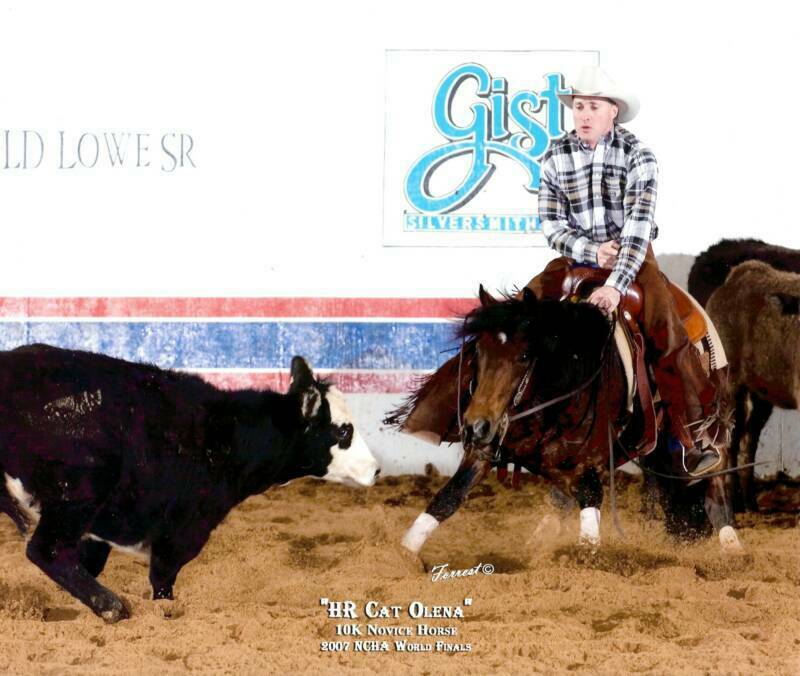 The last horse Todd trained to rope, River Starlight, earned $10,000 and two saddles team roping in 3 months first as a heeler, then header straight off our ranch and into heavy hauling competition. We currently stand Tom Tucker Smoke, and HR Cat OlenaNCHA money earners with first get 2008. For more information please click the stallion their links above. 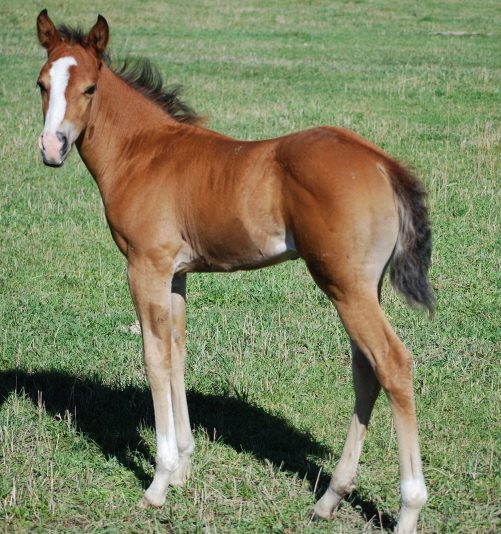 We have foals for sale. From seasoned aggressive riders to beginners our horses and riders make a winning combination. Todd's greatest accomplishments have been through the achievements of his youth and non-pro riders in training. Previous honors bestowed on riders coached by Todd have been MCHA Rookie of the Year, Inspirational Rider, MCHA Junior Youth Champion, and top placings in each of the non-pro classes. We provide instruction for people wanting to tune up, or learn to ride a finished cutting horse; or starting your horse on cattle. We have many students from a wide array of disciplines seeking the basic cow horse instruction to improve their success in tracking and rating cows. We do this on an individual basis or group clinic, or lesson setting. We can travel during certain times of the year if you have a group that would like to put on a clinic. NEW THIS FALL 2010!!! Weekly group riding lessons for all ages, levels, men & women. $15 per rider--work scholarships are available. Group riding lessons involve some general equitation, horsemanship including roll backs, spins, half-halts etc., cow work, object rating (like barrels, ground poles, etc), and possibly rope training depending on interest and group level. You can ride your own horse in the lesson, or if you don't have a horse that is ready to ride we have some you can use. Our lessons are complimentary if you have a cutting horse in training with us. Otherwise, for group riding lessons with some cattle work we charge $15, individual cutting lessons are $50 per lesson, or $100 per entry into a working cow clinic, and we can work with you on a traveling group charge if you desire. We have some space available for boarding horses, or horses on pasture. We provide the space, quality feed and care for $300 per month paid in advance. We also can provide excercise for the horse for $700 per month paid in advance. There are specific visitation and riding hours that boarders will be required to comply with. We travel throughout the United States and Canada and have many years of horse transport experience. We have very safe Sundowner horse trailer and can provide horse transport during certain times to specific location and stops along the way. Our next scheduled trip will be from Montana to Texas the end of October. We charge $.40 per mile. Each year Sun River Cattle Company, Inc. helps produce one or two cutting events in Great Falls, NCHA and MCHA approved weekend shows. The August show is a NCHA and MCHA approved weekend show, plus a $35,000 added aged event we co-produce called the Big Sky Aged Event. For more information on these and other local Montana events, visit the MCHA Website.